Abbott is a Delaware native (Dover) currently residing in Wyoming, Delaware. 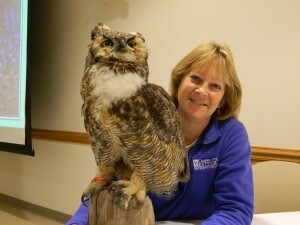 A graduate of Dover High School and West Virginia University, she earned a Bachelor’s of Science Degree – Forest Resource Management in 1979. Post-college employment included working in greenhouse management operations at a local wholesale-landscape nursery. Hired by the Kent Conservation District (Delaware) in 1980 as a Soil Conservationist responsible to coordinate and implement the Kent County Erosion and Sediment Control Program. In 1981, she launched a 14-plus year career with the USDA-Soil Conservation Service/Natural Resources Conservation Service. During that tenure, held positions as: Soil Conservationist in Kent County-Delaware; District Conservationist in Talbot County-Maryland; Soil Conservationist on the Delaware State Technical Support Staff for Watershed Planning; Delaware State Public Affairs Specialist; Delaware Federal Women’s Program Manager; Delaware State Volunteer Coordinator; and Northeast Regional Marketing Specialist. In 1996, began work at the Delaware Department of Agriculture-Forest Service, as the New Castle County Forester and Delaware State Biomass Program Coordinator. Since 2000, she has been employed with the University of Delaware Cooperative Extension as the Extension Agent for Renewable Resources – a statewide position providing educational and outreach programs to diverse audiences on forestry-related topics in urban & rural communities (i.e., tree/shrub ID, maintenance and insect/disease/health diagnosis), along with backyard composting, backyard wildlife management, environmental education and bioenergy-biomass opportunities. Abbott is a Life member of the First Baptist Church-Dover, serving on the Board of Christian Education and the Board of Trustees, Director of the KIDZ Choir, member of the Sanctuary Choir, and FBC Landscape Committee. Community volunteer services have include Docent at the Delaware Governor’s Mansion in Dover and Hall House, along with Town of Wyoming Peach Festival Committee. Current member of the Delaware ENVIROTHON Planning Committee (since 1994), Delaware Forestry Association, Delaware Urban and Community Forestry Council, Governor’s Council on Forestry, Delaware Forest Stewardship Committee and Delaware Tree Farm Committee – past member of the Delaware Agriculture Museum Board of Trustees, Northeast Regional Biomass Steering Committee and National Biomass Partnership Council. She also owns and operates a small business creating stain-glass art. She appreciates enhancing the home landscape as a backyard habitat for wildlife.